Magree Property Advisory assists property owners and occupiers to make informed decisions that best suit their business. This is supported by comprehensive financial analysis demonstrating cash flow, profit and loss and balance sheet implications. We are based in Melbourne however we operate across Australia. Dan is a property industry veteran with 25+ years of experience. He specialises in providing expert advice and direction on major properties and developments around Australia. More recently he has built a network of clients and contacts in Asia, particularly in Singapore and Malaysia. 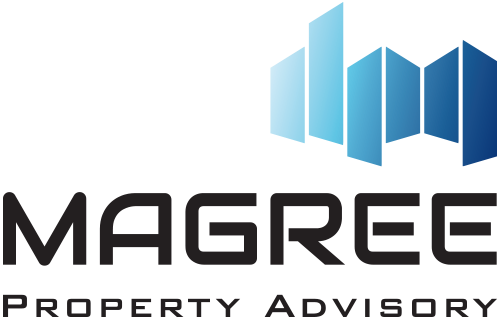 Magree Property Advisory specialise in adding value to and managing portfolio and investment grade property acquisitions and disposals. By properly undertaking due diligence and positioning assets to purchasers with the right structure we provide a certainty of execution at the appropriate pricing in a manner which complements the traditional Real Estate Agency. Over the past ten years we have managed multiple transactions across a number of sectors including commercial offices, industrial premises, health and aged care assets and residential development land. Supervision of fit out consultants and works. Review of existing lease arrangements and providing strategic advice on uses which maximise long term value. Due diligence is a risk management process for Vendors and Purchasers. From a purchasers perspective due diligence clarifies the quality of information provided and sets in place the appropriate procedures to ensure investors receive the advice they need to make informed and balanced decisions. Magree Property Advisory has many years experience in leading and managing due diligence teams including some of the largest property transactions in Australia. Market studies and financial analysis on various commercial, retail, industrial and residential projects, as well as in specialised sectors such as private hospitals, aged care and retirement villages. Value-add and work-out solutions for distressed property assets. Magree Property Advisory have the network, insight and experience to effectively price, position and close any transaction.